We aim to promote Jersey as a year round destination, so like our famous island food, our latest campaign isn’t just fresh for one season, it will run across the remainder of 2019. For phase one, April to June, we are embracing our unique food story and fresh experiences to give visitors an authentic serving of island life. For 2019, we are embracing our unique food story and fresh experiences to give visitors an authentic serving of island life. Our creative narrative will focus on fresh food experiences unique to Jersey which can be shared together with friends and family of all ages. 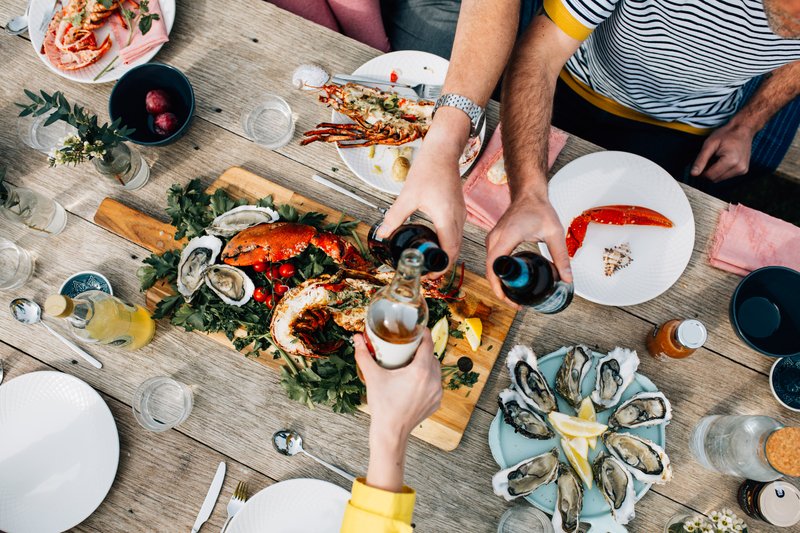 This encompasses everything from our field to fork stories, where fresh produce is plucked from farm, field and sea and served the same day, foodie experiences from beach-food to fine dining, to Jersey’s world-famed produce (Lobsters, Oysters, Dairy & Jersey Royals) and the passionate people behind the menu. Help us serve up island life for our visitors and leave them with an authentic taste of Jersey. In Jersey, our food is as fresh as the sea air. From field to fork in the time it takes for the tide to rise, it’s served just as nature intended. Work up a healthy appetite with a breath of fresh sea air as the new season bursts into life. Our pride and passion is our world famous local produce. From our beach food culture to our award-winning restaurants, our food is special, it’s food from the heart to feed the soul. Tuck into a serving of island life, where friendships are nourished and moments are savoured. Use the campaign video assets and imagery in your own marketing activity as a free marketing ‘hook’ to heighten awareness of your own business. Download our campaign toolkit (below) for a complete overview of our campaign messaging, themes and assets. Register for Visit Jersey’s Media Library and gain access to a wide range of campaign imagery. Don’t forget - you can also share your own imagery on the library, which Visit Jersey will make available to media upon request. Start planning your activities which celebrate winter in Jersey. This can include special offers, discounts, fun events and promotions. Update your product details on visit Jersey’s MyListing Portal with winter offers and experiences to feature on the jersey.com website. Use the hashtag #theislandbreak across your social channels. Download our social media guide on how to engage on social. We continue to promote Jersey as a year round destination, focusing resources on markets, territories & channels that represent the greatest potential for growth. Discover how we are bringing brand Jersey to life. We play the role of trusted advisor, sharing the voice of the customer, acting as facilitator, identifying and presenting the opportunity for the industry. Find out how you can capitalise on increased interest and deliver remarkable experiences. To achieve Jersey’s tourism 2030 strategy, Visit Jersey will focus our marketing resources on markets which represent the greatest potential for tourism growth. The UK is the mainstay of the staying leisure market, accounting for roughly three-quarters of both visits and visitor expenditure.